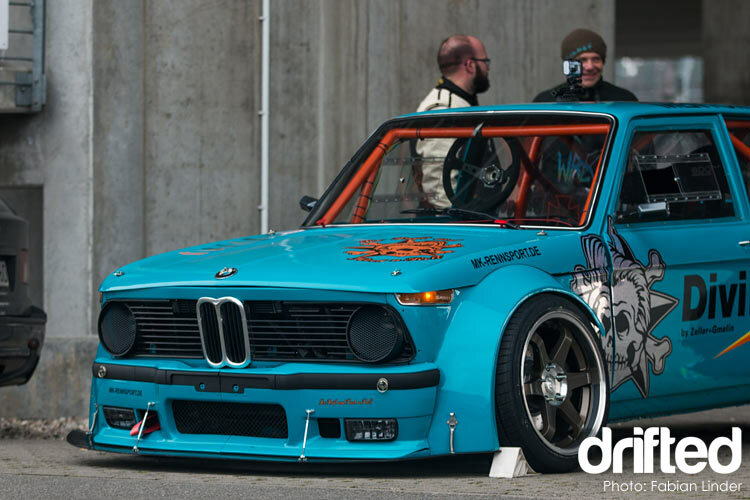 Philipp Jäger took a 1970’s BMW 2002, stripped it to 920KG, created an aero package and transplanted 446 PS of BMW M5 engine. The results are insane. Before we get started i’d like to invite you to drink in the exquisite details of Philipp’s BMW 2002. Just look at the thing. The completely bespoke custom fabricated aero, the massive arches and the immaculate Porsche Miami Blue coachwork create a hell of a first impression. We haven’t even looked under the hood yet..
Let me introduce you to Philipp Jäger. Philipp hails from Germany and his profession is a machine shop fabricator. 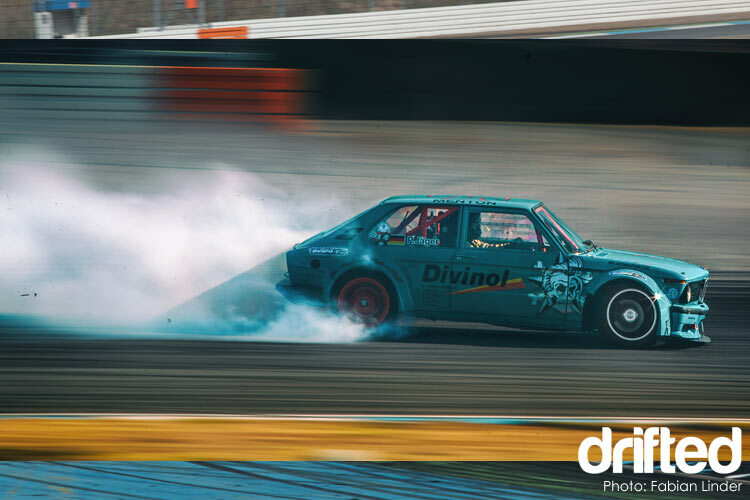 His passion – handily for us drifting fans – is the drift. Philipp has been drifting for many years, starting back around 2007. His preferred choice of cars has always leaned towards “The Ultimate Driving Machine”. 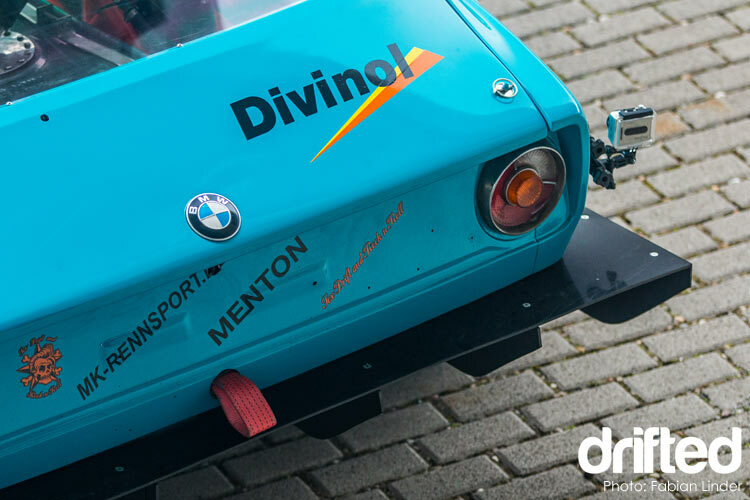 He campaigned his previous BMW, an E30 equipped with an S50 (286 PS) engine and bright orange paintwork for over six years in competitions on the European continent. 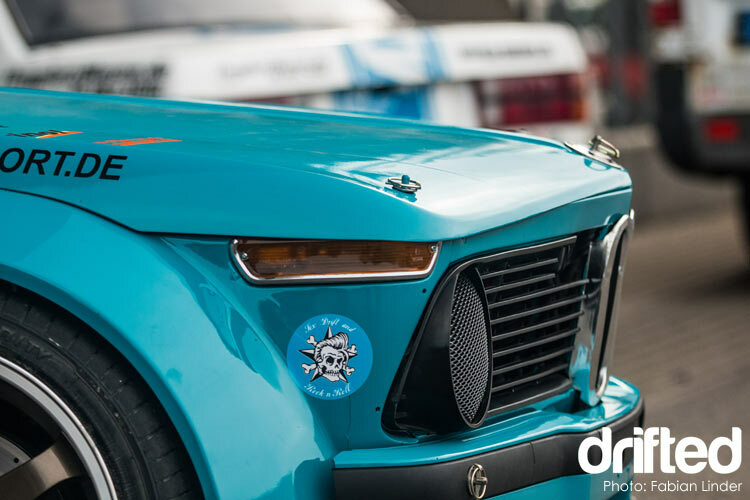 After feeling under-powered when competing against the competition in his E30, for the 2017 season Philipp decided to stretch his fabrication muscles and create something truly special, something that could keep him ahead of the pack. 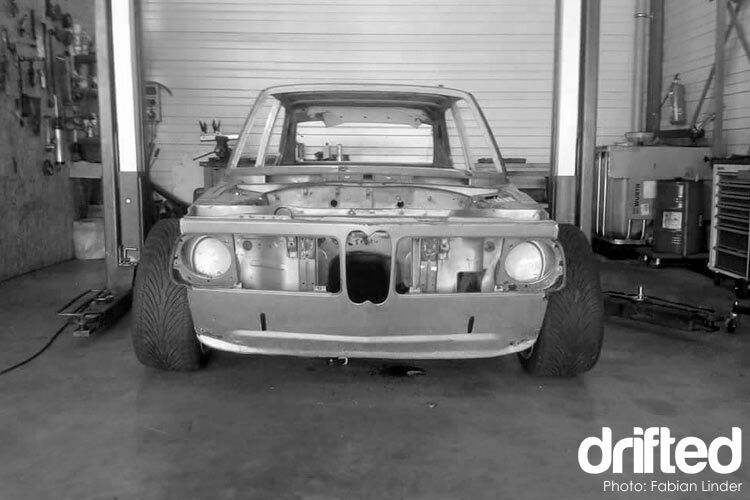 The original forty year old BMW 2002 hatch was torn down and prepped ready for it’s new life as a BMW superhero. Philipp knew exactly what he had planned for this classic car and he also knew that the original safety standards of the time were not going to cut it. So in went an impressively strong and complex latticework of roll cage, strengthening the roof, doors and chassis. 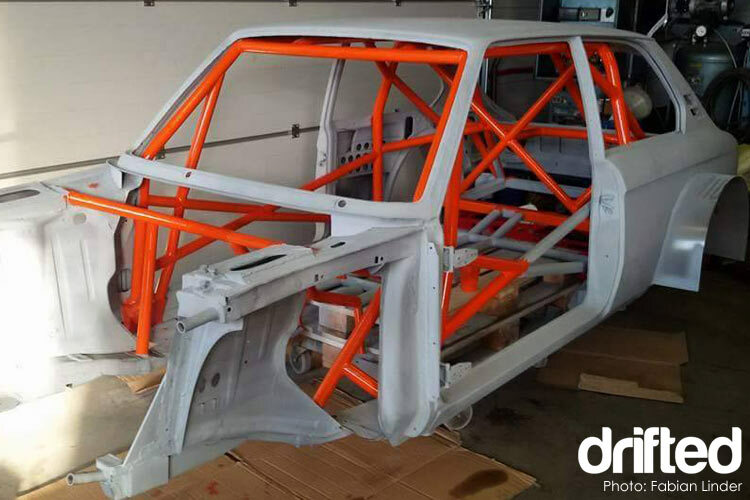 This roll cage was built to FIA and DMSB safety specifications. This was treated to a coat of bright orange paint. The shell was prepared to a high standard ready for the engine transplant and custom aero package. To handle the new powerplant Philipp fitted a BMW E30/E36 front axle with a top of a the line Wisefab lock kit. At the rear a BMW E39 M5 rear axle takes on the duty of keeping the power on the tarmac. 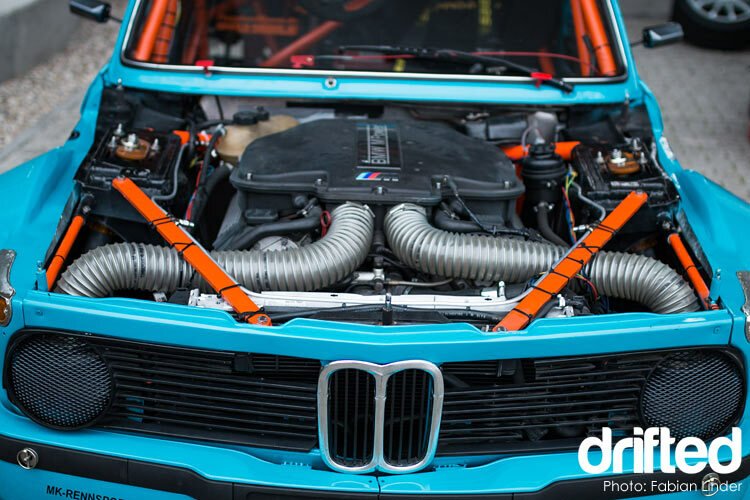 With the engine bay cleared the donor BMW M5 S62 engine was lifted into place. 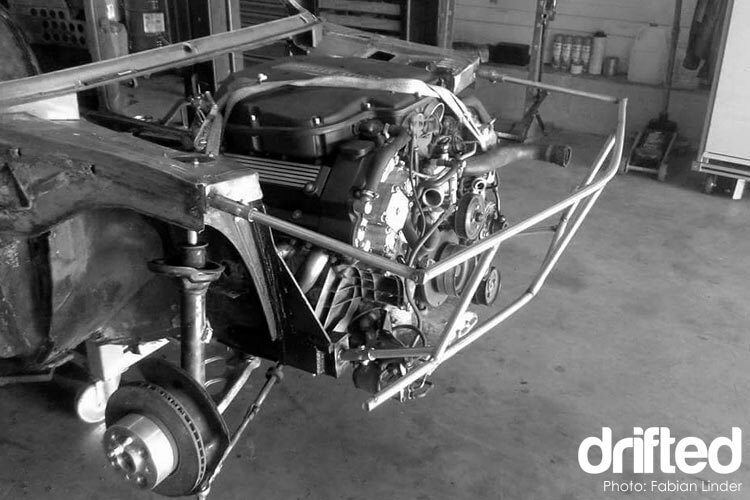 Philipp built a custom engine cradle to keep the powerful unit snugly in place. 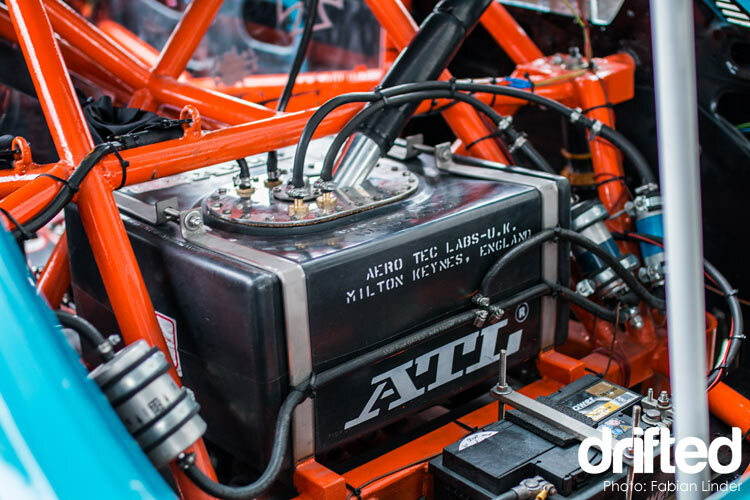 With the mechanical phase of the build progressing nicely it was time to look at the smaller details, Philipp replaced the fuel tank with a ATL FIA specification racing fuel cell. The high level of craftsmanship is clear to see in every aspect of this build. The results of this ambitious mechanical project are a kerb weight of just 920 KG and a power output of 446 PS. Those are performance figures that would make a modern supercar jealous. 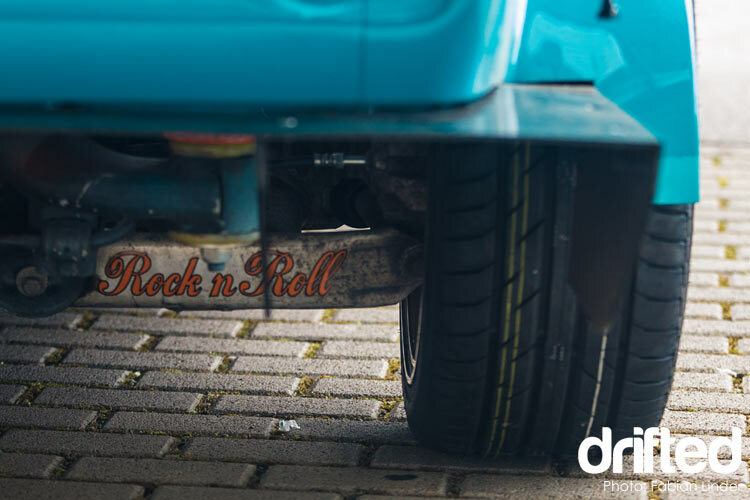 This blistering pace is coupled with a V8 soundtrack set to make the hairs on the back of your neck tingle. Now that the mechanicals of the build were taken care of Philipp looked at the bodywork. 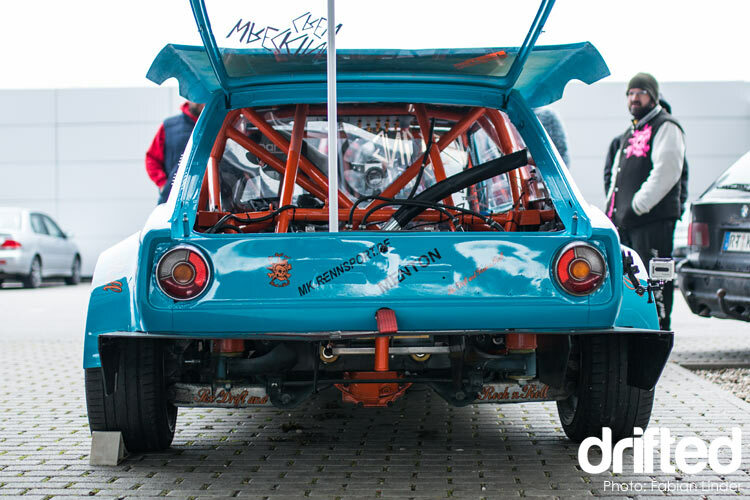 He spent over four weeks of labour hand building the wide arched aero kit you see on the car. As you can see from the delicious details like this carbon front splitter it wasn’t just a “bolt on overfenders” situation, Philipp has carefully considered his aero and tyre requirements while fabricating his kit. XYZ-Racing drift suspension sits on all four corners of the car. 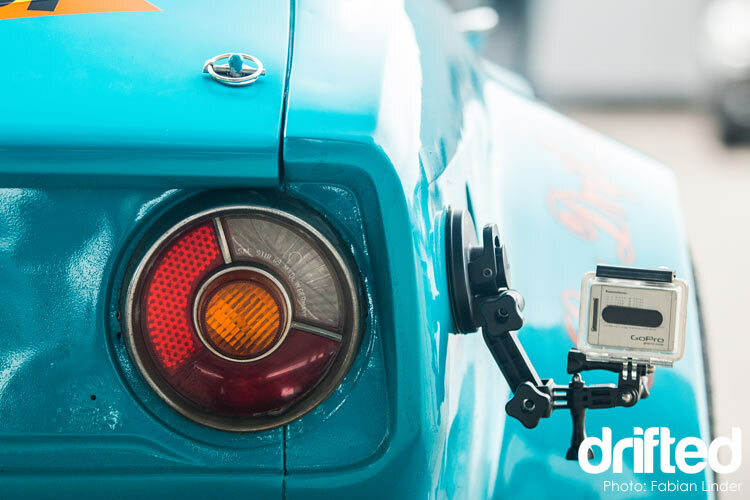 The wishbones have been completely custom fabricated with Uniballs. 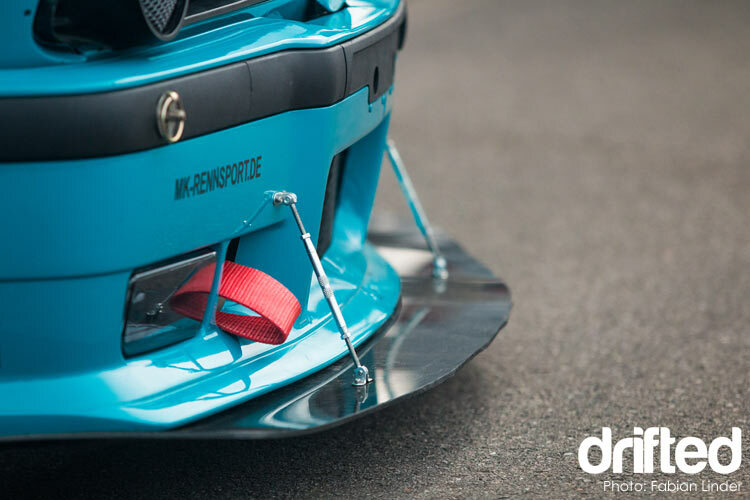 A smart rear diffuser tucks up underneath the rear bumper. Moving inside the car a short shifter, fly-off handbrake and snap off steering wheel from Philipp’s sponsor MK-Rennsport ensure all the control areas are taken care of. A custom dashboard was fitted along with an RRS fire extinguisher system. A single Sparco bucket seat for the driver completes the interior. 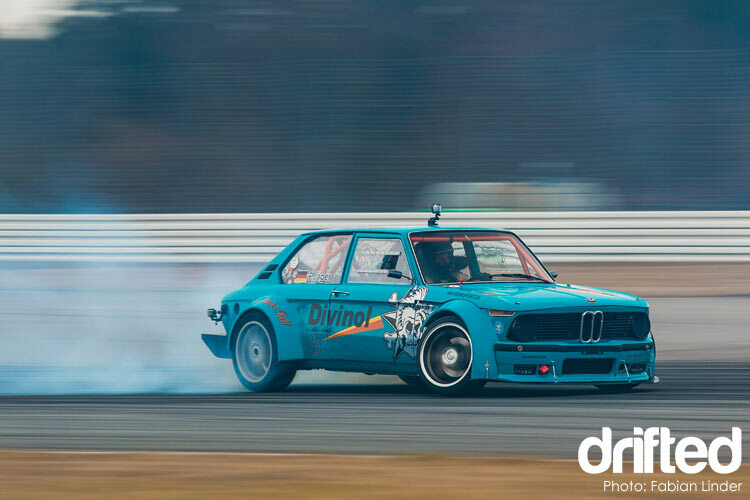 Drifted photographer Fabian Linder found Philipp’s car testing at the famous Hockenheim circuit in Germany undergoing it’s post build shakedown. After reading this article are you surprised to learn that the car suffered from no problems what so ever in it’s shakedown? That’s quality engineering. 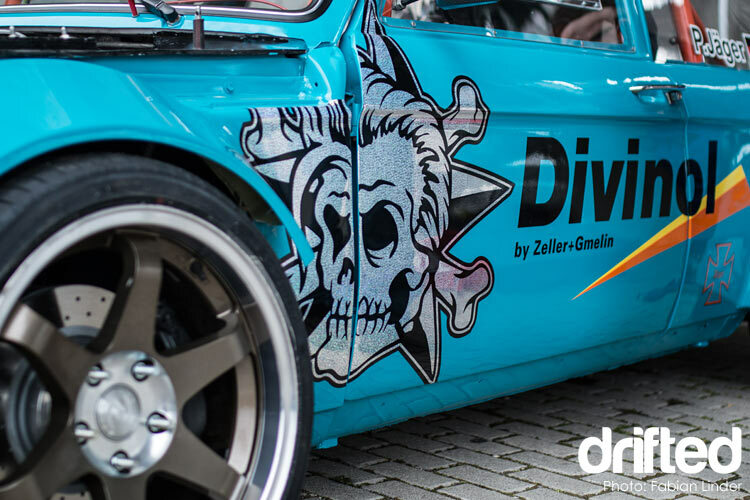 Philipp is taking his insane BMW 2002 to the track to compete in the Nürburgring Drift Cup, King of Europe and the ADAC Drift Cup. With this performance package he should have no problem competing against the 2JZ’s of the competition. We would like to thank Philipp for sharing his inspirational build and we would encourage you to share this article to help give Philipp and his sponsor MK-Rennsport some love.